/usr/bin/update-manager:28: PyGIWarning: Gtk was imported without specifying a version first. 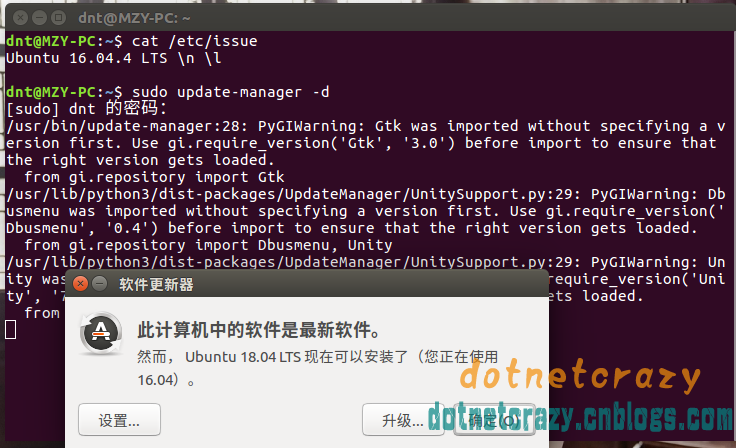 Use gi.require_version('Gtk', '3.0') before import to ensure that the right version gets loaded. /usr/lib/python3/dist-packages/UpdateManager/UnitySupport.py:29: PyGIWarning: Dbusmenu was imported without specifying a version first. Use gi.require_version('Dbusmenu', '0.4') before import to ensure that the right version gets loaded. /usr/lib/python3/dist-packages/UpdateManager/UnitySupport.py:29: PyGIWarning: Unity was imported without specifying a version first. Use gi.require_version('Unity', '7.0') before import to ensure that the right version gets loaded.